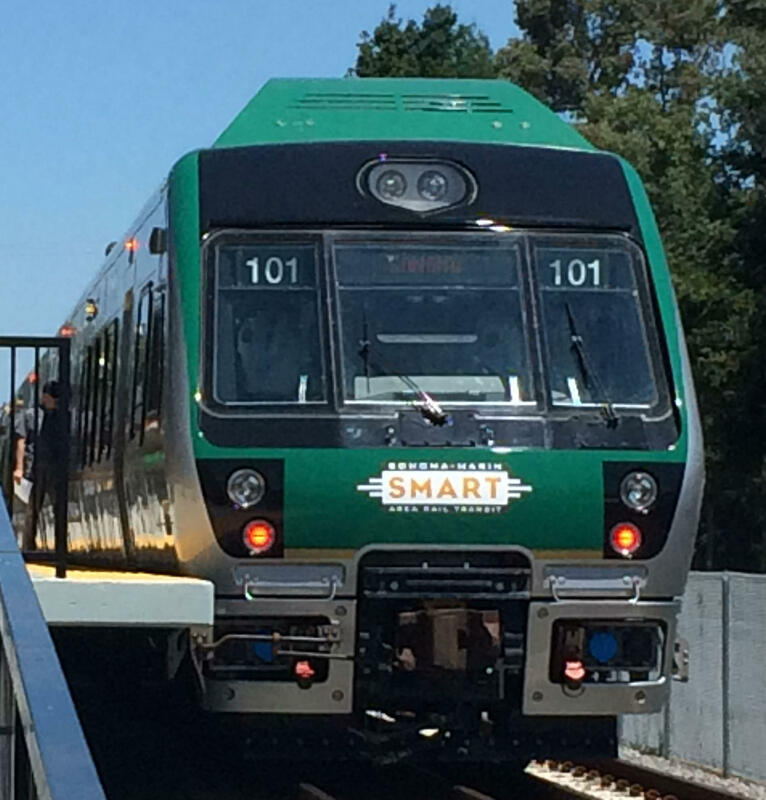 SMART trains should soon be running regularly between Santa Rosa and San Rafael, but no official start date has yet been announced. 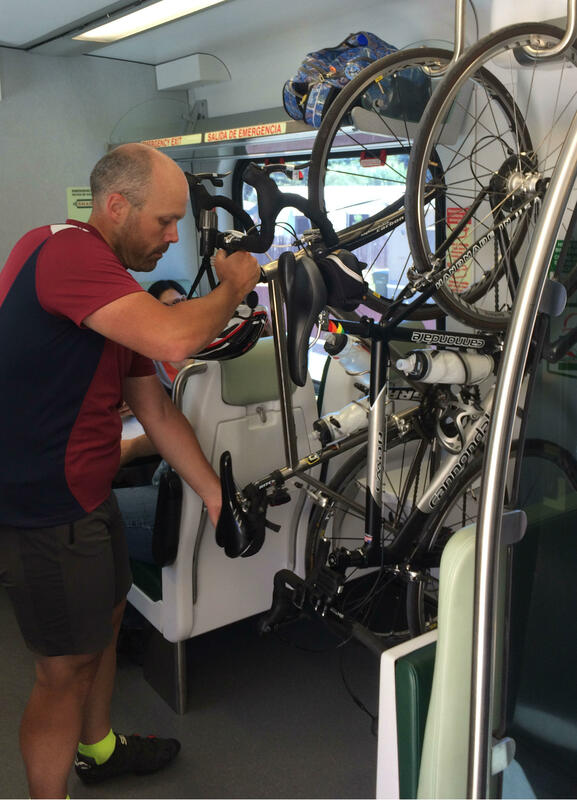 On-board stoage spaces for bicycles have been designed to make the SMART trains attractive to two-wheeled communters. Willdlife, such as egrets and waterflowl, are not yet accustomed to having trains speed past them. That's no doubt also true for people living close to the long-unused tracks. 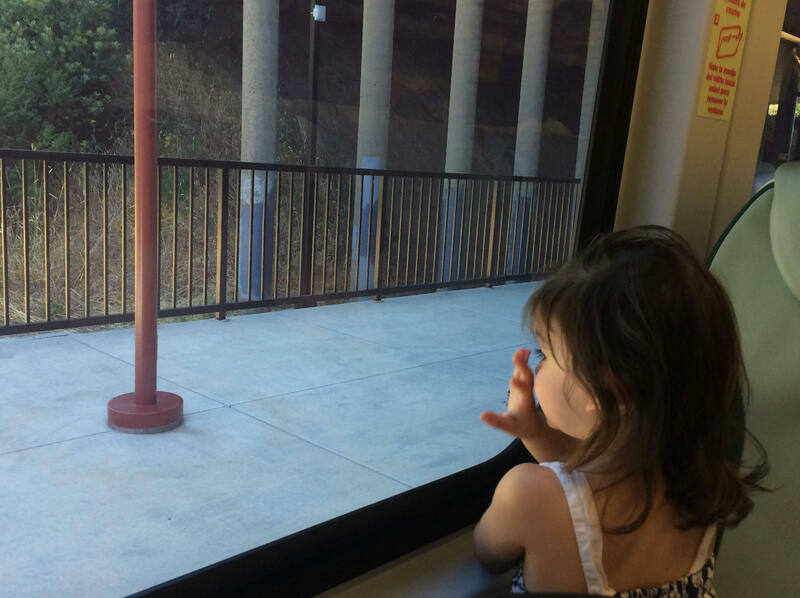 Madison looks out at SMART's Marin Civic Center station during her long-awaited first ride on the commuter train. 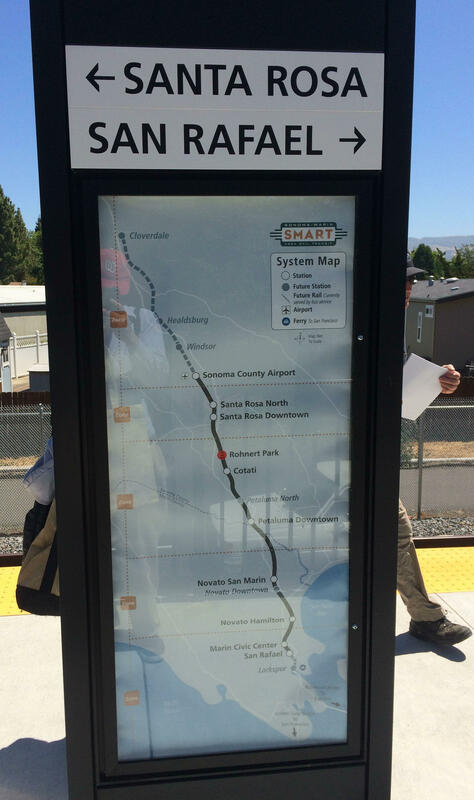 It’s been a long wait for the SMART Train to start rolling through Sonoma and Marin Counties, and while the official launch of the commuter service is still pending, there was a large and enthusiastic turnout for the first day of free preview rides yesterday. 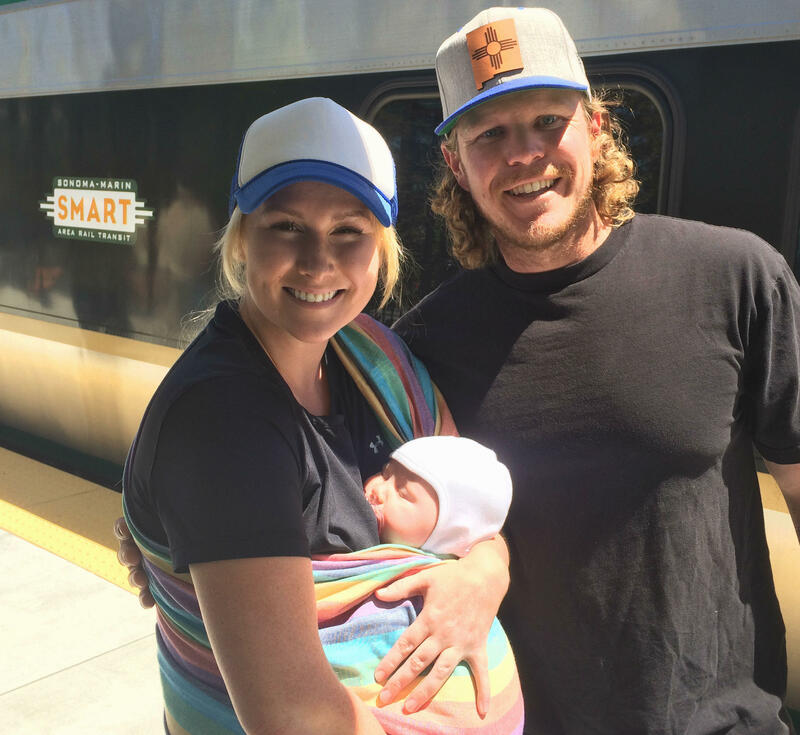 Sleepy first-time railroad rider Tatiana with parents Kalila Nosker and Sean Hogue at the Rohnert Park SMART station. There was a wide span of ages aboard the SMART Train preview ride that KRCB joined, from seniors who remembered regular rail service many years ago to an infant, who made the trip easier for her parents, Kalila Nosker and Sean Hogue, by sleeping through a good bit of it. 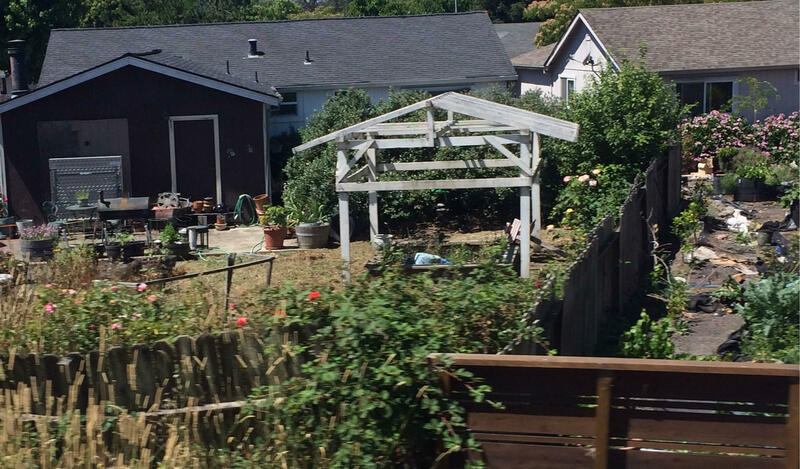 There will additional free preview rides Saturday and Tuesday, taking riders to the Marin County Fair both days. You can find details about those trips here.